Author: ALCOTT, LOUISA M. (1832-1888) AUTHOR OF "LITTLE WOMEN" ETC. Description: London, Sampson Low, Marston and Co. Ltd 1930 approx. 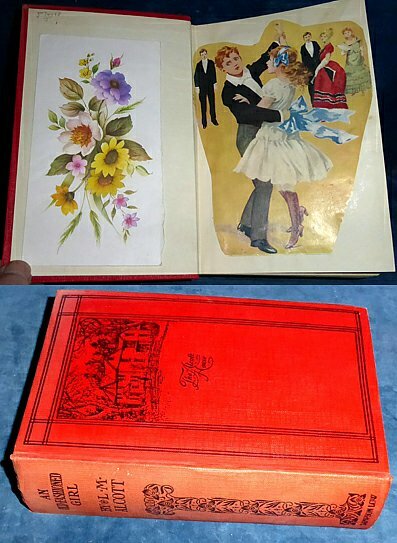 Frontispiece & another black & white plate (to p300) by Jessie Willcox Smith (1863-1935) + cut down colour illustrations from original dust jacket (mounted on free endpaper and back of titlepage). . Octavo red pictorial cloth (spine sl.faded/tips rubbed). Frontis + title + contents leaf +371pp +pp life & writings of L.M. Alcott & other authors). *Story of how loss of fortune changes those who are friends and those who were idle and profligate are made worthy and helpful. *Dated about 1930 from last page of publisher's catalogue at end which mentions Great War 1914-1918.